In today's world we have technology, convenience, security, and a measure of prosperity, but where is the beauty? For thousands of years, artists, sages, philosophers, and theologians have connected the beautiful and the sacred and identified art with our longing for God. Now we live in a day when convenience and practicality have largely displaced beauty as a value. The church is no exception--even salvation is commonly viewed in a scientific and mechanistic manner and presented as a plan, system, or formula. 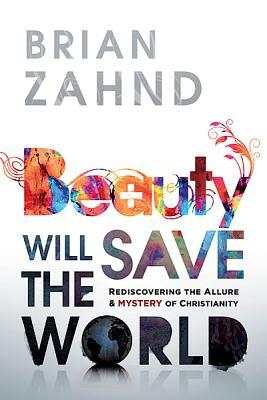 In "Beauty Will Save the World," Brian Zahnd presents the argument that this loss of beauty as a principal value has been disastrous for Western culture--and especially for the church. The full message of the beauty of the gospel has been replaced by our desires to satisfy our material needs, to empirically prove our faith, and to establish political power in our world--the exact same things that Christ was tempted with--and rejected--in the wilderness. Zahnd shows that by following the teachings of the Beatitudes, the church can become a viable alternative to current-day political, commercial, and religious power and can actually achieve what these powers promise to provide but fail to deliver. Using stories from the lives of St. Francis of Assisi and from his own life, he teaches us to stay on the journey to discover the kingdom of God in a fuller, richer--more beautiful--way.